Freediving is one of the world’s fastest growing sports, enjoying a tremendous amount of exposure across popular mediums including; television, movies and TV commercials. And while over 200 competitions are held worldwide freediving is more than just a sport. 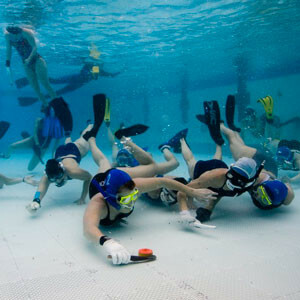 It also includes a wide array of different activities enjoyed underwater on a single breath. 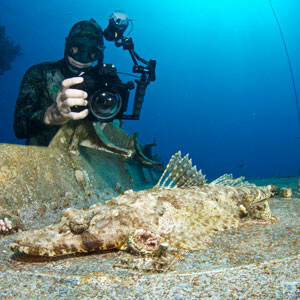 Including things such as; Underwater Hockey, Underwater Photography, Spearfishing, Skin-Diving and many more activities. 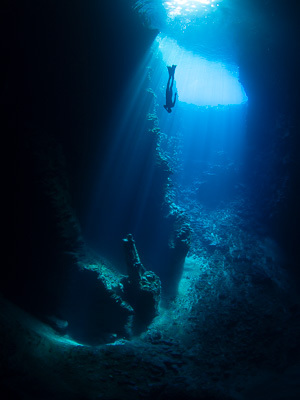 Freediving was used to collect food since the time we have lived in caves. You can read about the history of Freediving here. 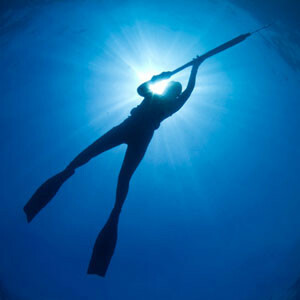 Freediving can be practiced in the pool, river, lake or in the open ocean. As this activity promotes a healthy lifestyle it attracts people from many fields. this activity focuses on correct breathing, relaxation, focus and mental control and as such can be used as a great complementary activity to other sports. Freediving is total freedom, it is the best way to explore the underwater world quietly and tranquilly without the need of cumbersome, noisy scuba gear. Imagine yourself swimming with a huge Humpback whale in clear blue water or maybe exploring a sunken wreck? It can all be done FreeDiving. Although it sounds really simple (and it is), there is a lot to learn in order to practice freediving in a safe and efficient way. At Apnea International we have helped introduce thousands of people to the wonderful and mysterious world beneath the ocean and regardless of your foray, level of experience or fitness we can cater to your needs. Collecting fish with a speargun is the most sustainable form of fishing. Swim as far as possible in a pool without using fins. Dive as deep as possible using fins or monofin . Dive as deep as possible pulling on the descent line. Dive as deep as possible using only the body as propulsion. 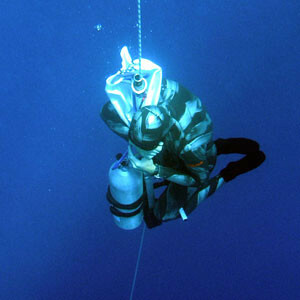 Dive as deep as possible using a weight. Ascend using fins or pulling the line. Dive as deep as possible using a weight. Ascend using a lift bag.